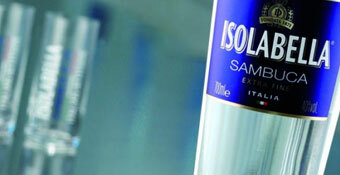 Loved by liquorice fans, Sambuca is an Italian anise-flavoured liqueur. While Sambuca’s commonly clear, you can get blue, red and black varieties. According to the Oxford English Dictionary, the name Sambuca comes from the Latin term sambucus, meaning ‘elderberry’. Sambuca can be enjoyed neat, as a shot, with a splash of water for an ouzo effect and in a cocktail. Sambuca also goes well with coffee. The iconic ‘con la mosca’ serving of Sambuca includes three coffee beans.